Mike Tomlin has reached a turning point in his tenure as Steelers head coach. Ironically, to meet this challenge he might need to look to a lesson offered by his biggest nemesis. As I conceded on Super Bowl Sunday, feeling good about the Pittsburgh Steelers is hard right now. The story on the 2019 Steelers revolves around Antonio Brown and Le’Veon Bell leaving town. Oh, and so does Morgan Burnett, in case you’re taking notes. Sure, 2018 was the year Pittsburgh FINALLY won a December show down with the Patriots, but since then, the Steelers have produced a steady stream of bad news. While he isn’t 100% responsible for the Steelers slide, Mike Tomlin must be the man to stop it. And a big part of that solution just might come in the form of a lesson that Bill Belichick learned a long time ago. 1. The Jacksonville playoff debacle. 2. The worst late-season collapse in recent Steelers history. Let’s deconstruct Starkey’s argument, point-by-point. The Jacksonville playoff debacle WAS bad. I don’t absolve Tomlin entirely of this, but what was the ugliest element of the loss? How about Pittsburgh’s piss-poor tackling? The Steelers defense made strides in 2018, and improved tackling was one of them. The Steelers 2019 late-season collapse was hard to stomach. But, as cataloged in our Steelers 2018 season review, so much of that meltdown came down to untimely passes picked off, fumbles at critical moments, dropped interceptions and a smattering horrendously bad calls. Joe Starkey is dead right on Oakland debacle. As I observed at that time, Mike Tomlin erred badly by keeping Joshua Dobbs in after Ben Roethlisberger was cleared to play. The mistake cost the Steelers the playoffs and perhaps their last, best shot at Lombardi Number Seven in the Roethlisberger era. 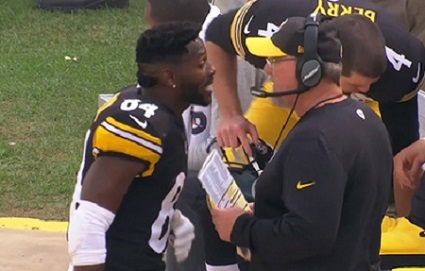 But how fair is it to blame Mike Tomlin for the Antonio Brown soap opera? That’s a complex question that Mike Tomlin, fairly or unfairly needs to find an answer for. And to find it, Mike Tomlin might be wise to look to Bill Belichick’s past. Bill Belichick was an unmitigated disaster as head coach of the Cleveland Browns. He was so bad that I once wrote a long-form article on Behind the Steel Curtain detailing how the Steelers once actually OWNED Bill Belichick. Alas, instead of sparking conversation into what fueled Belichick’s transformation, the post article conversation article devolved into a Spygate debate. There is only one insight I’ve gleamed into Cleveland-New England metamorphosis. And came from a network commentator who said that Bill Belichick felt his mistake in Cleveland was to hold different players to different standards, an error he vowed not to repeat in New England. 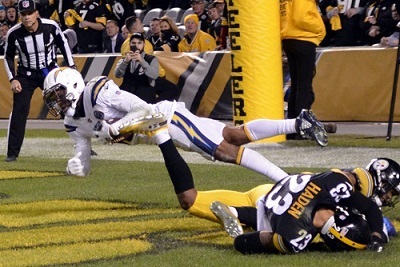 But as Jeremy Fowler depicted, Mike Tomlin let Antonio Brown both bend and break a lot rules. Some of this might have been necessary. Mike Tomlin’s been managing Antonio Brown’s diva tendencies since Day One. Remember Brown’s first NFL play, the touchdown on a kick return vs. Tennessee? 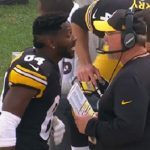 Brown sat on the bench next week, as Tomlin talked of “Two dogs and one bone.” Tomlin benched Brown after Brown quit after an interception late in the 2013 loss to the Patriots. Yet Tomlin massaged Brown ego by allowing him to keep his receiving streak alive against Jacksonville a few years back. But the problem is that Antonio Brown hasn’t been the only locker room disruption. Le’Veon Bell reported refused to answer Tomlin’s phone calls, and James Harrison protested his lack of playing time in 2017 by mailing it in. There’s a pattern developing in Pittsburgh and Mike Tomlin must break it. It would be poetic to say that “All NFL coaches reach turning points.” Untrue. Most NFL coaches simply get fired. But both Chuck Noll and Bill Cowher had their turning points. Chuck Noll faced two. First came when the NFL moved the draft to after the Super Bowl to late spring. 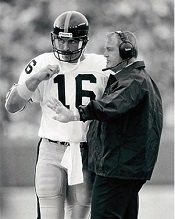 Although no one saw it at the time, as Ed Bouchette documented in a Dawn of a New Steel Age, the move allowed Noll micromanage the scouting process, to the detriment of the Steelers drafts. 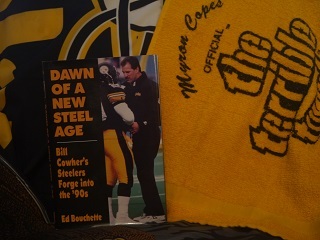 The second came during the Steelers 5-11 1988 season, when Dan Rooney forced him to fire coaches. 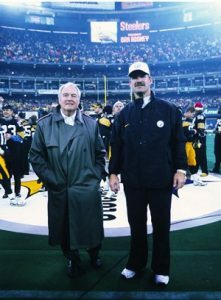 Chuck Noll resisted but relented, and while he never returned to a Super Bowl, the 1989 Steelers did give the Emperor one last Hurrah. Bill Cowher’s came in 1999. For the second straight season the Steelers melted down in the 2nd half of the season. Without naming names, Lee Flowers called out teammates for quitting, and the 1999 season ended in a sloppy loss to the Tennessee Titans that featured Bobby Shaw flashing a Superman t-shirt after a garbage time touchdown, and Levon Kirkland getting muscled out of bounds by Neil O’Donnell on an interception return. 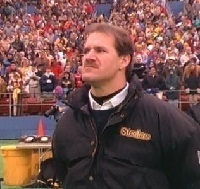 But Bill Cowher prevailed in his feud with Tom Donahoe and reasserted his control over the locker room in the process. Mike Tomlin isn’t feuding with Kevin Colbert, but he must establish firm control of the locker room in 2019. 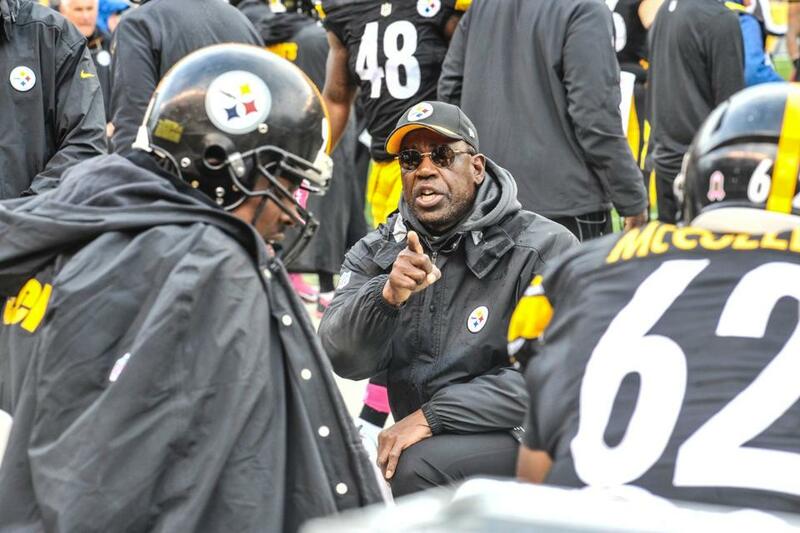 Tomlin is reputed to say he treats everyone fairly, but not equally. Tomlin, it would seem, needs to tweak that. Has Mike Tomlin already begun reasserting control? When he showed up for the Bengals game, Antonio Brown issued a clear challenge to Tomlin’s authority, daring his coach bench him with the playoffs on the line. Tomlin didn’t blink, which if nothing else could mark Tomlin’s pivot in Pittsburgh. Thanksgiving Day 2017 has arrived, and that means its time for Steel Curtain Rising to bestow its annual Thanksgiving Day honors. And this year we’re going to make a bold break from tradition and award Steelers Thanksgiving Day Honors to Ben Roethlisberger. Our Steelers Thanksgiving Honors tradition started in 2009. And while the Steelers were only 3 games into their notirous 5 game losing streak, things had not gone well, but Rashard Mendenhall was an undoubted bright spots, so he earned the inaugural honors. Since then its gone to an up and coming contributor, such as Antonio Brown in 2011, Cam Heyward in 2013 or Le’Veon Bell in 2014. But this year our Steelers Thanksgiving Honors are as much about looking back as they are about the present, and it is only fitting that Ben Roethlisberger win the award. So why break tradition and award Thanksgiving honors to Ben Roethlisberger? Let’s start with this one fact: Since the Pittsburgh picked him in the 2004 NFL Draft, Steelers Nation has never celebrated a Thanksgiving holiday where the men in Black and Gold haven’t been in the playoff picture. That, in and of itself, perhaps isn’t so remarkable given that the Steelers have won at least 5 games in every season since 1970. 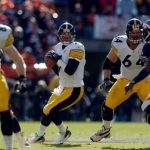 But Ben Roethlisberger and the Steelers have gone into the final game of the season with at least a mathematical shot at the playoffs in all but two seasons since his arrival in 2004. Fans in places like Cleveland and Washington would beg for their team to have enjoyed playoff viability in the season’s final week even 25% of the time during that span. 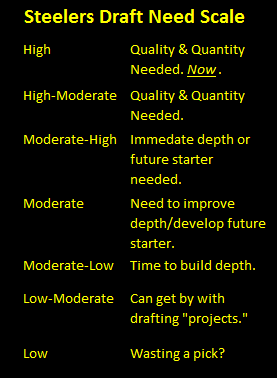 At the time, Wexell compared the 2014 Steelers to the 2000 Steelers, and found the two times in roughly the same spots in the rebuilding cycle. 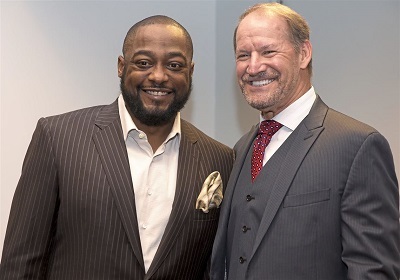 There are many reasons why Bill Cowher and Tom Donahoe’s Steelers teams of the 1990’s knocked on heaven’s door but always failed to break through. Kevin Colbert’s stellar record with 1st round draft picks and his uncanny knack for signing undrafted rookie free agents (hello James Harrison, hello Willie Parker) are two of those. While those are important, remember that Colbert and Cowher were brides maids who failed to become brides in ’01, even though they had Hall of Fame running back Jerome Bettis in his prime. The key difference, the independent variable if you will, of course, is Ben Roethlisberger. Ben Roethlisberger gave, and continues to give the Steelers something that they missed since Terry Bradshaw elbow popped on that fateful day at Shea – a quarterback who is truly talented enough to win it all. Sure, Ben Roethlisberger has had his struggles this year, and this site hasn’t been shy in pointing those out. 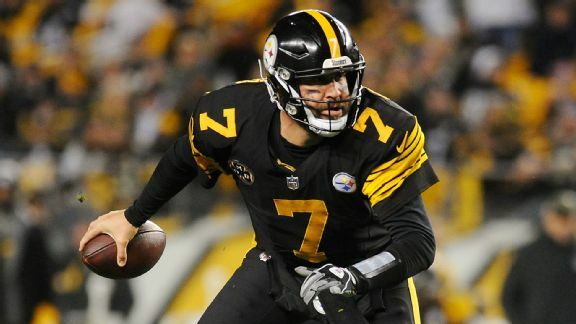 All of that adds up to a championship caliber quarterback, and Steelers Nation should be thankful for having in Ben Roethlisberger. The conventional wisdom among Steelers fans is that Ben Roethlisberger will retire after 2017. If that’s true, it will mark a sad day in Steelers history. But we do know that Ben Roethlisberger is the Pittsburgh Steelers quarterback now, and for that Steelers Nation should enjoy it and give thanks. We’ll conclude as we do every year at Thanksgiving. Thanksgiving is one of the noblest of US holidays. It cuts across all races, creeds and economic backgrounds. And, the abomination that is Black Friday not withstanding, unlike Christmas or Easter, you can’t corrupt Thanksgiving through commercialization. While we enthusiastically offer our Steelers Thanksgiving honors, we do so with the caveat that we sincerely hope that each and everyone of you has many, far more important non-football reasons to give thanks this Thanksgiving. So we trust and hope you’re enjoying the day and surrounded by family friends. Happy Thanksgiving Steelers Nation. 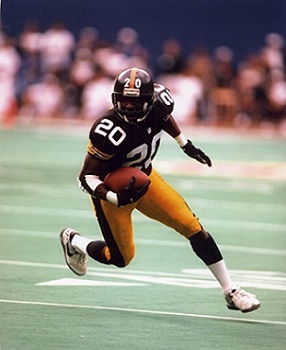 Click here to read stories of past Steelers Thanksgiving Honors recipients.